Shatamanam Bhavati 13th Day Collection 13 Days SB 2nd Wednesday Box Office Report: Shatamanam Bhavathi is a Telugu film which released on 14th January 2017. The romantic and family film was written and directed by Satish Vegesna. The music for Sathamanam Bhavati composed by Mickey J. Meyer. 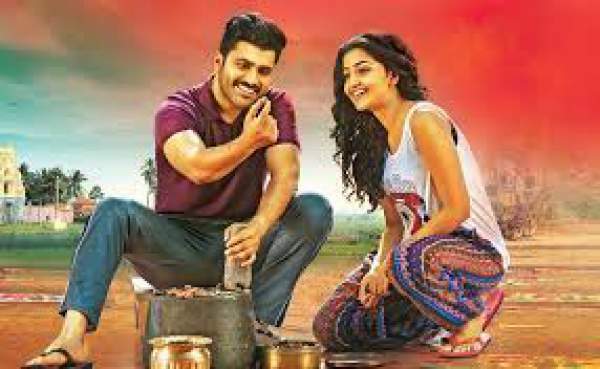 Sharwanand and Anupama Parameswaran are playing the primary roles and supporting roles play by Prakash Raj and Jayasudha. The film talks about the dynamic relationship shared between a grandson and his grandfather. It raises the old/previous generation atmosphere which today’s generation are missing them in their busy life. In the movie, Raghava Raju leads a happy life with his wife Janakamma in village Atrayapuram. His cousin’s Grandson Raju lives with them. But Raju’s children weren’t living with him. They visit their home only during festivals. They come to their home on Sankranthi festival and family begins to enjoy together. The other side grandson falls in love with his niece (Anupama) during their visit. Shatamanam Bhavati is a clean family entertainer movie. The concept of the movie is good and interesting. Dialogues are positioned good, and there are some lines to experience. This movie a must watch for the families this season. The film released in India on January 14 and overseas a day earlier. It has collected Rs. 11 crore worldwide in the first weekend. With such an excellent collection, it broke the record of Express Raja in just first two days. It is one of the most hyped small budget movies of the recent times. However, the trade analysts were doubtful regarding its BO journey as it had to clash with Khaidi No 150 and Gautamiputra Satakarni on the Sankranthi occasion. Shatamanam Bhavathi has collected $411,695 (Rs 2.80 crore) at the US box office in the first weekend. The day-wise breakup is as follows: $46,100 on Thursday, $ 79,312 on Friday, $ 150,607 on Saturday and $135,676 on Sunday. It was released on nearly 500 screens in India on Saturday. On opening day, it collected Rs. 6.90 cr gross worldwide. Thus, it became the highest opener for Sharwanand beating his last hit film Express Raja’s record of Rs. 5 cr globally. The Telugu movie is stable in USA with collections on Mon $ 61,783, Tue $ 43,657. Total: $ 525,215 [₹ 3.58 cr]. Worldwide total Rs. 12 cr (2 days gross). Including 2nd Saturday, the total becomes $647,817. Shatamanam Bhavati collected Rs 15 crore gross (by second Monday) at the worldwide box office so far. The movie is estimated to have earned Rs 7.19 crore for its global distributors in two days. The distributors have already earned Rs. 17.7 cr share worldwide in the first week itself. The movie has grossed Rs. 31.30 cr worldwide in the first seven days of release. Till 11th day, the movie has collected Rs. 4.01 cr in the USA. The makers will earn a decent amount today as the 13th day collection of Shatamanam Bhavati. The box office figures of 2nd Wednesday will be updated soon. It is expected that it will collect Rs. 25 cr in its lifetime run and has already Rs. 13 cr from the Telugu states of India only. It can be now tagged as superhit as it was made on a budget of just 10 cr.